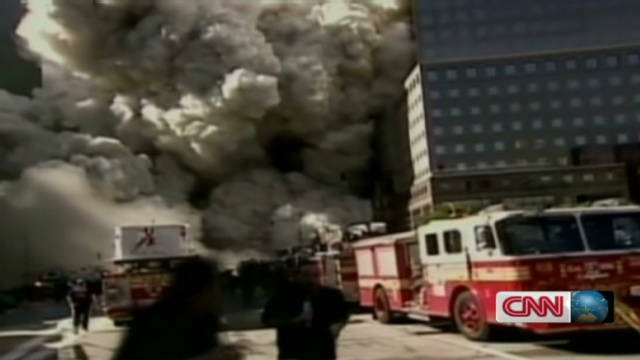 (CNN) -- Ten years after the September 11 attacks, America's long time enemy -- the Islamic Republic of Iran -- has solidified itself as an undeniable power broker in the Middle East, analysts and Iranian officials say. Much of Iran's newfound clout emerged after Washington set in motion its post 9/11 foreign policy, a strategy that spurred the Bush administration's so called war on terror and attacks against Iran's hostile neighbors, Iraq and Afghanistan. Military occupations of those countries have continued through Barack Obama's presidency. "I think there can be no question that Iran is, by far, the greatest beneficiary of the so-called war on terror," says religious scholar and author Reza Aslan. 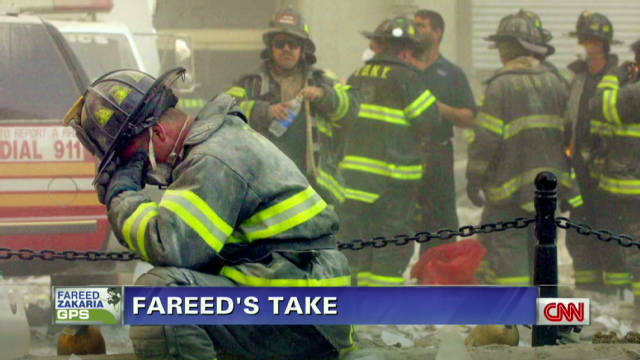 "Our actions and some of our missteps after September 11 really elevated Iran's position in the world," says Karim Sadjadpour, a Middle East analyst and associate at the Carnegie Endowment for International Peace. Prior to 2001 Washington viewed Iran as a dangerous but isolated pariah state. Iran had long craved to export its Islamic Revolution of 1979 beyond its borders but was effectively contained and encircled by two bitter enemies. To the west was Saddam Hussein's Iraq, a country Iran fought a bloody eight year war with during the 1980s. To the east was the Afghan Taliban, a regime that espoused a ruthless brand of Sunni Islam and viewed Iran's Shia Muslim leaders as heretics. Within a span of two years the U.S. led wars in Iraq and Afghanistan toppled two of Iran's most dangerous regional enemies, immediately extending the regime's reach and influence. "Before September 11, 2001 you had two regimes, one in Afghanistan -- the Taliban -- and in Iraq, Saddam Hussein, which were counterweights to Iranian influence, which were adversaries to the Iranian government," Sadjadpour says. Aslan add: "Not only are those enemies gone but the fact of the matter is that Iran has far greater influence in both Iraq and in Afghanistan." Today, Iran is one of Iraq's top trading partners with roughly $7 billion in exports last year, according to Iranian officials, up more than 25-fold since 2003 when exports were at an estimated $230 million. Iran has strengthened economic ties with Afghanistan as well, with trade and building projects topping more than $1 billion this year, according to Fada Hossein Maleki, Iran's ambassador to Kabul. As Washington begins drawing down troops in Afghanistan, Iran has bolstered political ties with Afghanistan. Senior Iranian officials make regular visits to Kabul. Last year, Afghan President Hamid Karzai acknowledged receiving cash from Iran just days after the New York Times reported that Iranian officials once gave Karzai's chief of staff a bag stuffed with cash. Karzai said Iran "asked for good relations in return and for lots of other things in return." Tehran is a already a staunch supporter of Iraq's Shia led government. Many of Iraq's current political and religious leaders spent years in Iran while living in exile during Saddam's regime. "I think what the U.S. didn't anticipate is that by replacing Saddam Hussein with a Shiite-led political order in Iraq, we were giving Iran, which is also a majority Shiite country tremendous influence over a big chunk of the Iraqi population." says Sadjadpour. But perhaps most troubling for Washington are allegations that Tehran has secretly armed and trained insurgent groups in the region in an effort to sap and demoralize U.S. forces and raise the stakes of the U.S. presence in the region. "The last thing Iran wants to see is a permanent American presence in its backyard," says Aslan. "This would be disastrous for Iran's national security, as far as they're concerned. So they're willing to do whatever it takes, including working with al Qaeda, working with certain Taliban forces. A senior Iranian official rejected the allegations. "It defies logic for Iran to arm any groups or support terrorism in the region," says the official, who asked not to be named because he is not authorized to speak to the media. "It's unacceptable to us to have insecure borders. Economic investments and the growth of business interests demand that Iran pursues a region that's free of terrorism." What Iranian officials do not dispute is their growing influence in the region. In interviews and public talks, Iranian President Mahmoud Ahmadinejad regularly calls Iran a superpower. "Today Iran has turned into an influential country in the region and there are few issues and developments in the region that can be solved without Iran's assistance," said the head of the parliament's Cultural Commission, Gholam Ali Haddad Adel. U.S. officials, however, downplay Iran's post 9/11 influence citing domestic problems, like political infighting, a struggling economy, widespread unemployment and an opposition movement that appears to be dormant but not dead. "The irony is, at a time in which Iran's influence in the region has only grown, internally the country is more fractured politically than it has ever been," says Aslan. The recent anti-government uprising in Syria has also weakened Tehran's key alliance with Damascus and, despite nearly a decade of alarm from Washington and Israel, the Iranian regime doesn't appear to be close to producing a workable nuclear weapon, something Tehran has long denied its even considering. Despite its own significant hurdles, Iran appears to have cemented its role as either a critical actor or potential spoiler in nearly all political, military and economic events in the Middle East and surrounding regions. "Ten years after September 11, 2001, Iran has become the x-factor in terms of stability in the Middle East," says Sadjadpour. For Washington, ignoring that "X-factor" doesn't appear to be an option.